Style 406 EZ-FLO® expansion joints are constructed of a single, wide-flowing arch with a proprietary urethane tube intended for abrasive applications. Its self-flushing arch design eliminates media buildup, reduces turbulence, and need for filled arches on slurry surfaces. 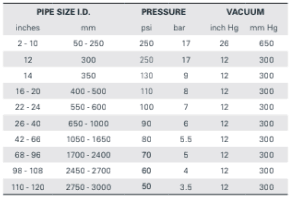 Note: Pressure and vacuum ratings at neutral FF dimension. 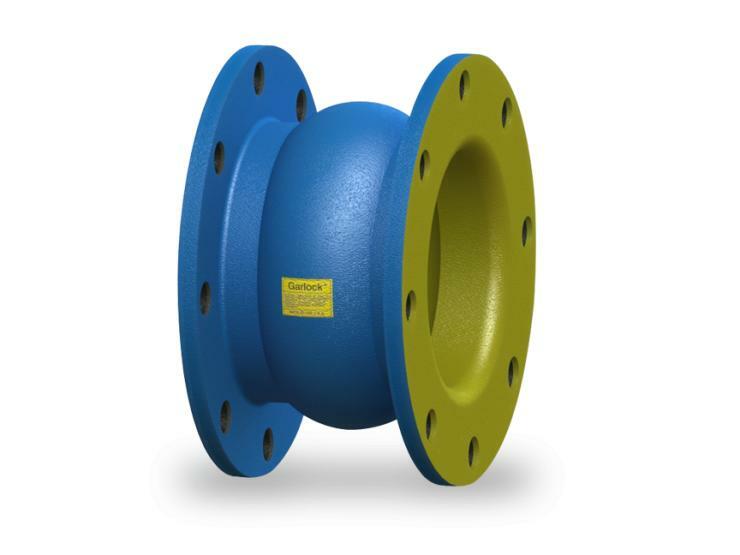 Extended face-to-face dimensions result in reduced pressure and vacuum ratings for Style 406 EZ-FLO® expansion joints. Tube — ABRA-LINE® liner extends to outer edge of the flange for excellent abrasion resistance. The flowing arch design adds pressure resistance and reduces product buildup. Seamless tube creates a positive flange seal without gaskets.